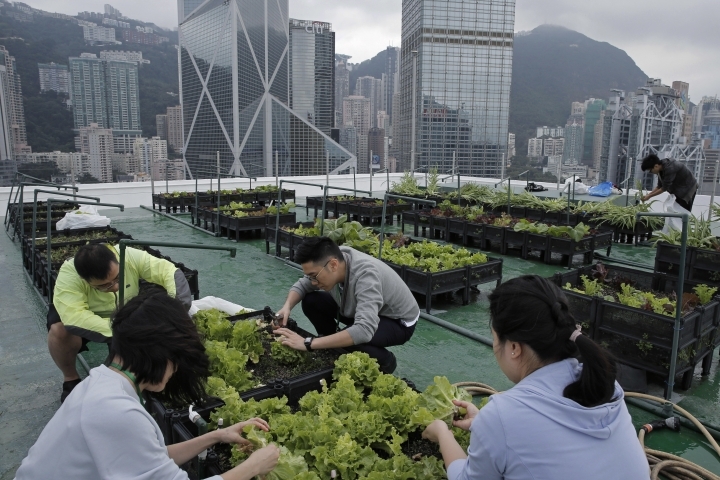 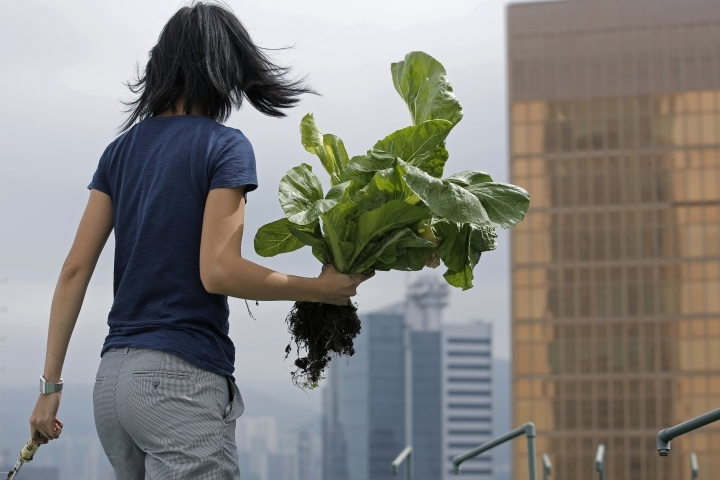 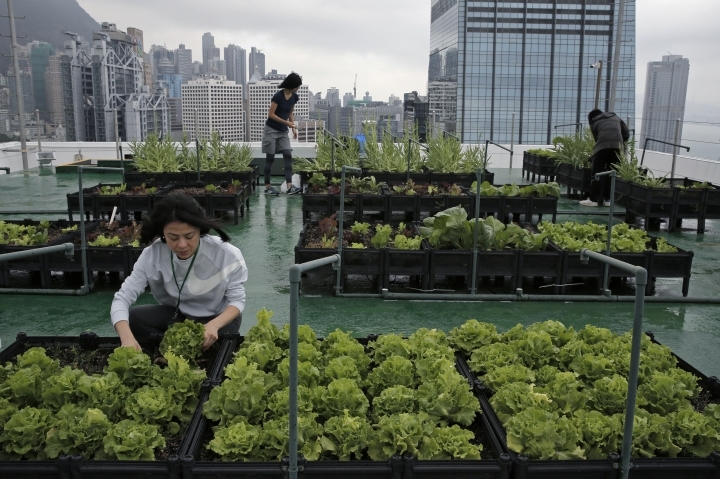 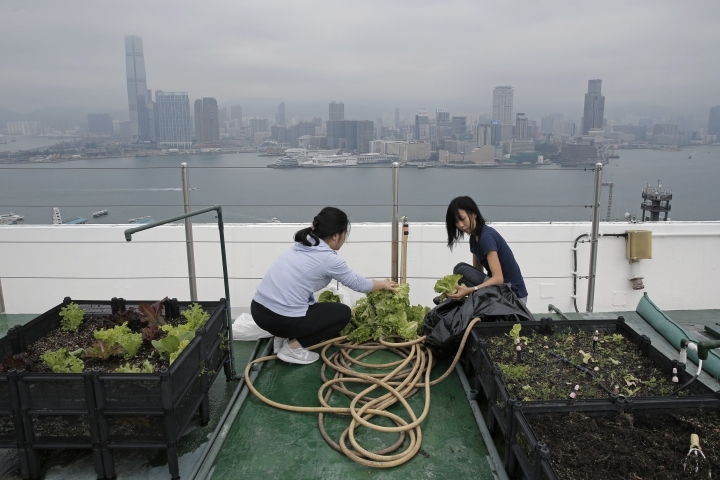 HONG KONG — High above downtown Hong Kong's bustling, traffic-clogged streets, a group of office workers was toiling away not on a corporate acquisition or a public share offering but on harvesting a bumper crop of lettuce atop one of the skyscrapers studding the city's skyline. 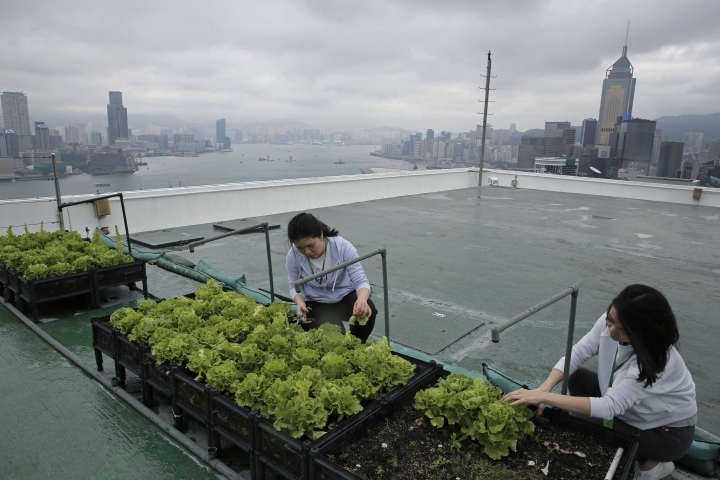 Pryor's research found approximately 1,500 rooftop farmers in the city, cultivating a total area of about 1 ½ hectares. 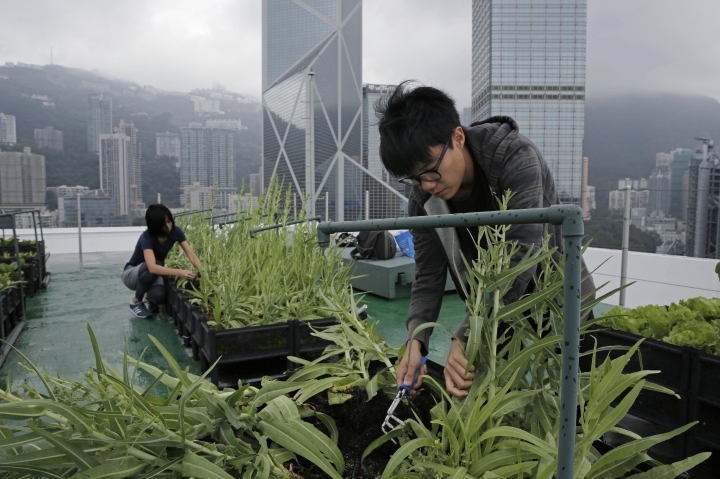 He thinks there's potential for that to easily grow to 50,000 people working on a suitable rooftop area of 600 hectares.